Hi all, baffled!! 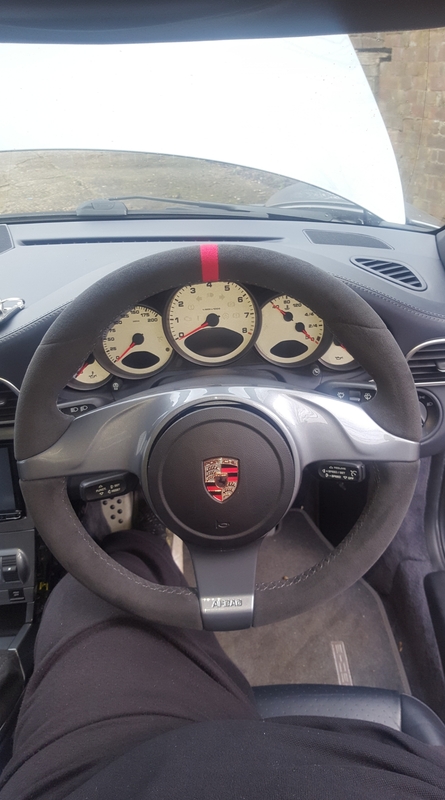 I went to fit my newly refurbished steering wheel and when put all together etc. The horn don't seem to work at all!! Anyone know a reason why etc?? The springs below are in place? they provide the return. And the black wire with the spade connector (earth) is in place? Hi yeah the horn was locked in position and all connectors to airbag present! I took that picture as I was taking off the steering wheel and air at to put the original back in which the horn works but yeah all was put in correct you could press the horn and it will spring back but no sound. 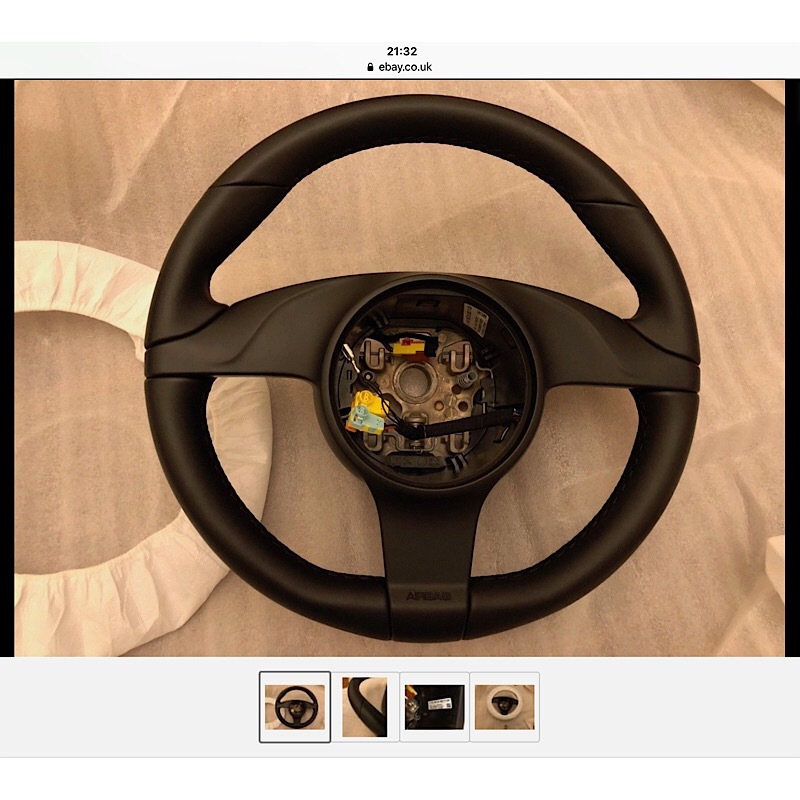 Just replaced with my original steering wheel and that works etc..
A previous thread said you need to have it programmed as a MF wheel for the horn to work. If you had a multi function before it shouldn't need coding when go to no functions, well mine didn't. I just ‘accidentally’ won this wheel. It was not on my shortlist of jobs but sometime low auction bids come good (£189 for a unused wheel). Thanks all for your replies! I've booked the car in for a coding for the steering wheel Wednesday so hopefully I shouldnt get any problems!! Will let ya know how it went and what's been done!! J, When you go to the OPC you need to give them very clear instructions. tell them to turn on the multifunction option, you will need to insist as they will think they know better and not do it as it hasn't got MF . this will sort your horn problem. Do not let them charge you more than 30 mins labour. if the horn sticks when depressed remove the air bag and add a small amount of silicon grease to the three tabs on the side of the airbag. The refurbed wheel looks great by the way. 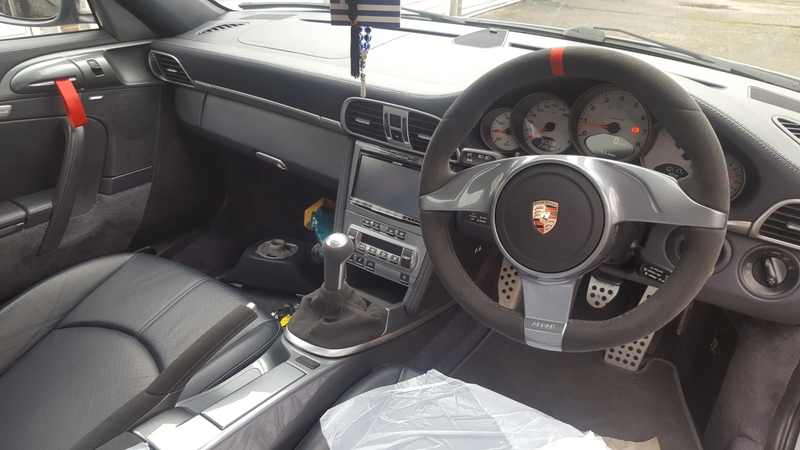 I think you are going to need the electronic control module from the later cars - had to change it on mine - eBay if you are lucky or £250 from Porsche. I'm just bloody hoping the coding is all that's needed and not the.module!! If the module is needed Is it easy to fit it? Also what does this module look like and where is it located? Regards to the horn sticking, doesn't do it anymore I did purchase new springs and retracts back nicely!! But will add some silicone grease to the 3 tabs where the horn glides against it for ease of the horn.. etc..
What wheel did you have before? normally only tips that need the new module mate. the module is a horse shoe looking thing that wraps around the steering column , not a difficult job to do but in the unlikely event you do need one it will need coding with PIWIS . but I am still very confident you wont need it. Mine is a manual with MF and I had to change the electronic module and have it all coded in - was not a cheap upgrade. How did the coding go --997--? I have swapped my wheel but waiting for the air bag in the post. Trial and error with the alarm/window drop/steering lock and clock spring all overcome as minor mistakes. Biggest panic was the extra length of the spline and therefore the 'unused' spline, which I mistook for it not fitting at at first. I've seen this partially explained in a YouTube video (badly). I assume you had the same? interesting, out of interest what year car hardly ever hear of manual cars needing the module was wondering it it might be an 04 or early 05 car and if they had older modules than the late 05 and 06 on cars. 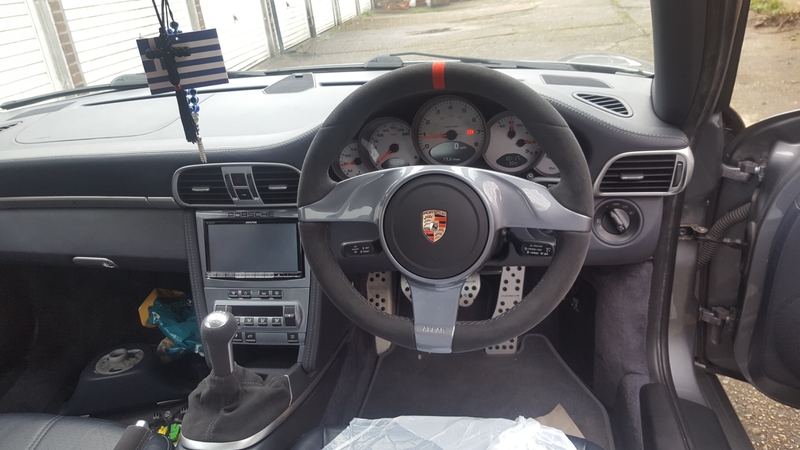 Ok got my steering wheel module coded today to take the new steering wheel and works great as phil997 stated..
however a mate of mine bought a module the other day as he tried to code his original module and it didn't work so this new module he fitted and that didn't work also. But the technician had another customers module and that worked but of course it was someone else's module. Anyway he took the gen2 module back to the guy to get his money back, so he's off to porsche to order.. Anyway pic below of steering wheel and works well... feels sooo much better and good ! !